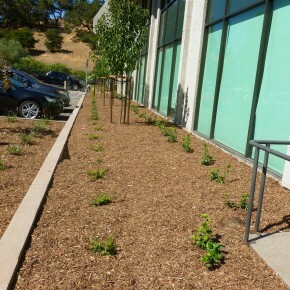 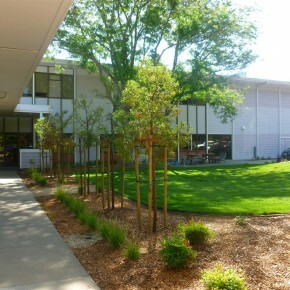 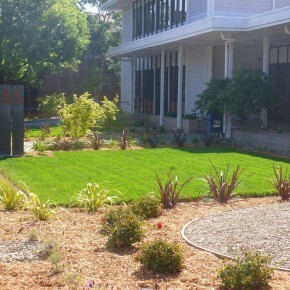 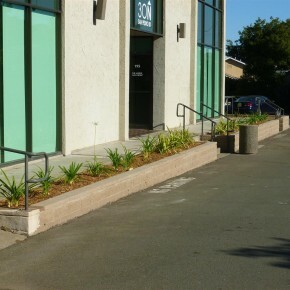 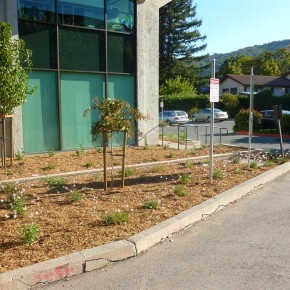 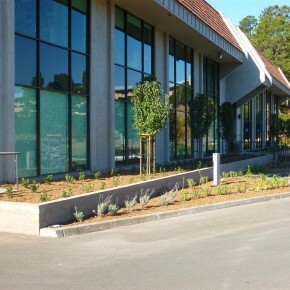 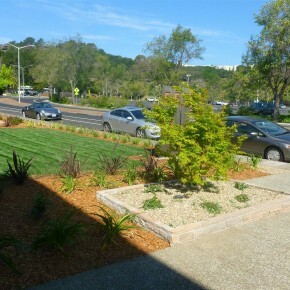 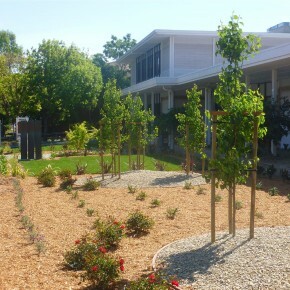 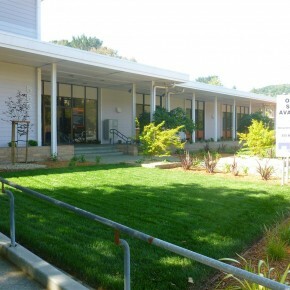 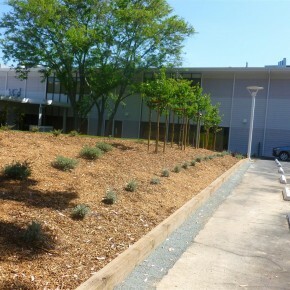 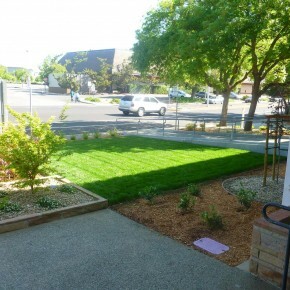 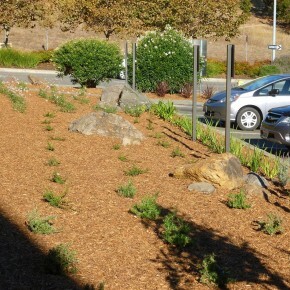 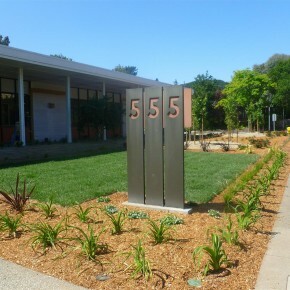 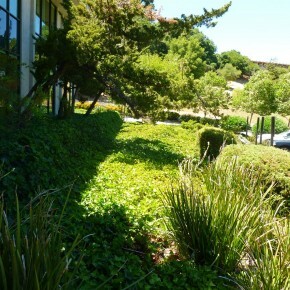 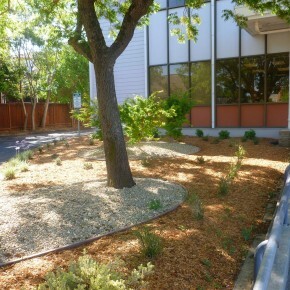 Here is a plan view of a commercial project we are working on in San Rafael. 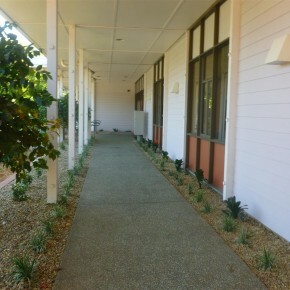 The existing walkways and patio spaces around the building needed to be expanded to better suit the use patterns of the space, and to update and improve the aesthetics of the property. 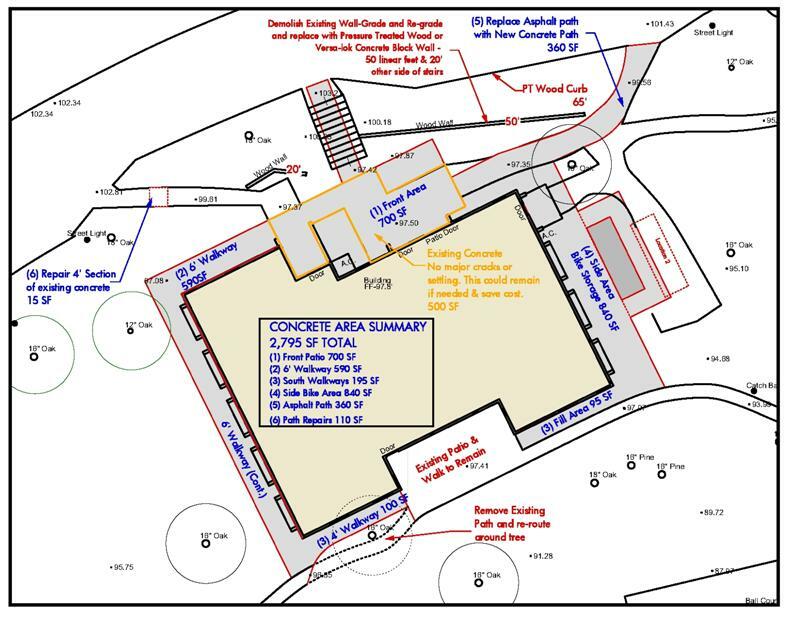 In this working drawing we are exploring options for path and patio layouts, with suggestions for possible budget saving measures. 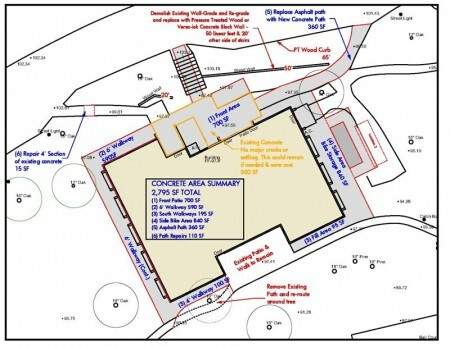 Here is an update to an earlier post, showing a pool courtyard project we are working on. 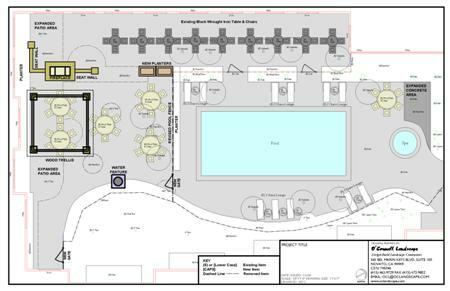 Things have progressed from the initial concept to include a new water feature, fireplace with seat walls, and arbor to create an improved pool and courtyard space.